Pittsfield- Charles H. Kruger, age 86, died Sunday, November 11, 2018 at the Berkshire Medical Center after a brief illness. Charles was born October 5, 1932 in Hackensack, NJ a son of the late Lucille (Herman) Kruger. He was a graduate of Hasbrouck Heights High School in New Jersey, and then went on to serve proudly in the US Navy from 1950-1953. Following his discharge from the Navy, Charlie worked for a short time as a bus driver in NYC. After leaving NYC, he married the love of his life, the former Barbara Greb on September 13, 1955 and they then began their family in Pittsfield. Barbara died June 11, 2000. For 25 years, Charlie worked as a corrections officer at the Berkshire County House of Corrections and as a part time police officer for the town of Lanesborough. Charles loved sports, especially golf, football and baseball. 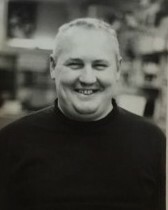 For over 40 years, Mr. Kruger coached high school football. He began at Cranwell Prep, then coached at St. Joseph High School, and finishing his football-coaching career at Taconic High School in 2003. He also coached many of the adult recreational softball leagues around the city. After his retirement, Charlie began spending his winters in Hollywood, FL. He loved everything about his time spent there, especially being able to work on his golf game year round. Also during his retirement, he worked part-time for over 20 years at the Pittsfield Country Club as a groundskeeper. Charlie is survived by his four children, Robin Groat and her husband Mark of New Ashford, Charles Kruger Jr. of Lanesborough, Michael “Mickey” Kruger and his wife Michelle of Pittsfield, and Shelly Kelly and her husband Doug of Lanesborough, eight grandchildren, Melissa, Jessica, Jenna, Jeffrey, Danya, Kate, Veronica and Haley, and nine great grandchildren. He also leaves three siblings, Betty Cancilla and her husband William of Pittsfield, Susie Colaianni and her husband Tony of Delaware, and Billy Kruger and his wife Didi of FL, many nieces and nephews, as well as his cousin Bruce Drang and his good friend Floyd Pease, with whom he spent his winters in Florida. Besides his wife Barbara, Charlie was predeceased by his granddaughter, Jamie Kruger, in 2006. SERVICES: A Celebration of Charlie’s Life will be Sunday, Nov. 18, 2018 from 2-5PM at Friends Grille, 117 Seymour St. Pittsfield. A graveside service will be private for the family in the springtime. In lieu of flowers, memorial donations may be made to The Monday Morning Quarterback Club of Pittsfield, in care of the Devanny-Condron Funeral Home, 40 Maplewood Ave. Pittsfield, MA 01201.